GriffinOT offers affordable and easily accessible online occupational therapy solutions for schools and parents. This includes an online Sensory Processing Disorder training course and from mid-2019 will include online motor skill development programmes. All GriffinOT programmes offer you more than a list of activities/strategies to try. Our primary aim is to help school staff and parents to understand why they’re doing these activities or using specific strategies. Most importantly, we also discuss how to implement all activities/strategies safely and correctly. If you want to learn more about Sensory Processing Disorder, how it affects children and how to help, our online course ‘Sensory Processing: What’s the Fuss?’ could be a good solution for you. This is available for teachers and parents in an individual study format. There is also an inset format, which would be suitable for whole school training. If your child has gross or fine motor skill delays, struggles with their pencil grip or finds using scissors really tricky, then our online motor skill development programmes may be relevant. Please visit our website for further information. 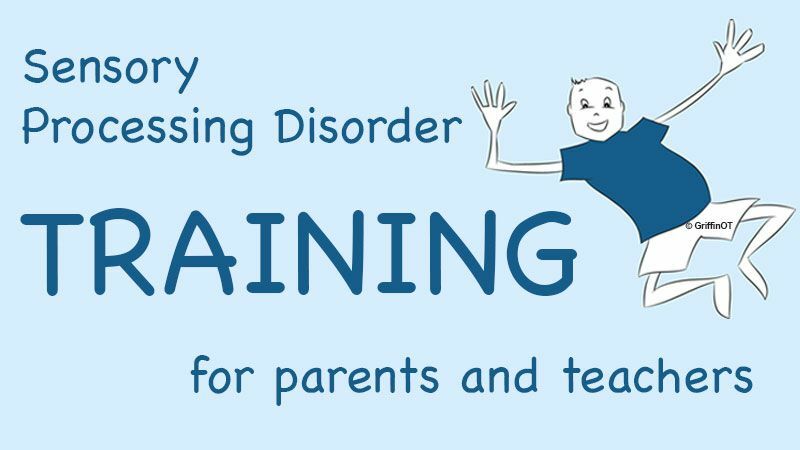 Our sensory processing disorder course is £36 for individuals or £360 for the inset format. Our motor skill programmes start at £22 for individual families with a range of subscription levels available for schools.